Join the four dancers of AATMA Performing Arts on an epic journey charting the exciting evolution of Indian dance. 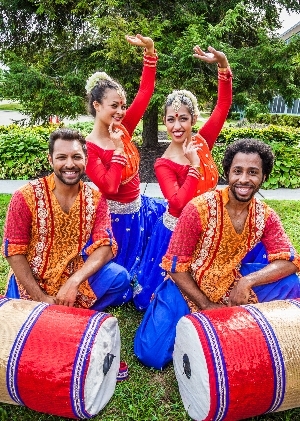 This dynamic performance focuses on the explosive rhythms found in Indian classical and folk dance, which eventually gave rise to the globally recognized Bollywood dance and music of today. Late seating is at the discretion of the library. Children, families, and adults are welcome. This series is made possible by funding from the Philadelphia City Institute Board of Managers.